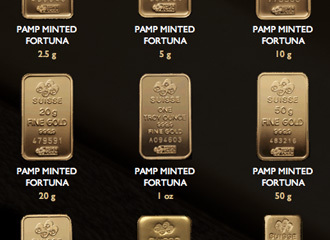 Harrods Gold Bullion is London's preferred gold bullion dealer. 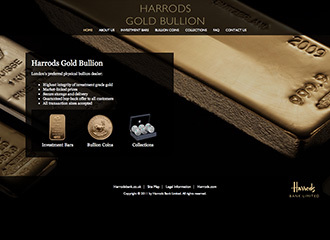 The brand signifies confidence, history and reliability, and Harrods Bank meets the same exacting standards as the rest of the organisation. 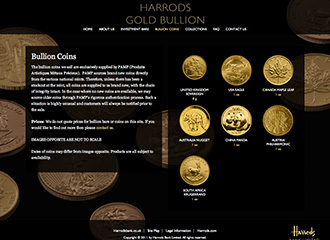 To build a standalone microsite for Harrods Gold Bullion that showcases the company's products in a beautiful and almost tangible way, in order to induce a primary call to action which is to contact the bank and experience their exceptionally personal ordering service for gold bullion coins, bars and collections. 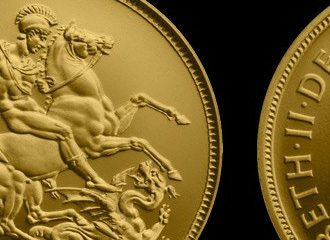 A key requirement for the project was the ability for staff to easily keep the website up to date. Cue Cloudbase™. Our proprietary e-commerce and content management system was a perfect fit for the simple requirements of the site, and affords the business the opportunity to extend the site's capabilities when and if they wish to do so.